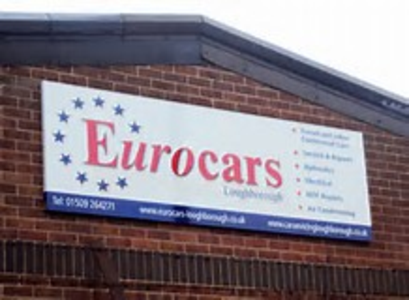 "'YOUR MAIN DEALER ALTERNATIVE'Welcome to Eurocars Loughborough Ltd, specialists in car servicing and repair for all makes and models of cars, including French car manufacturers such as Renault, Citroen and Peugeot. With over 30 years experience we provide efficient, value for money car servicing and repairs, using original parts and equipment wherever possible. Our company is specifically designed for the servicing and repair of French and continental cars, though we will service and repair any make of vehicle. We pride ourselves on our personal and friendly service, carrying out all car repair work to the strictest of standards.Constantly updating our tools and equipment, we aim to maintain a high level of workmanship and excellent customer service at all times. We also have computer diagnostic equipment suitable for all makes and models of car. With a wealth of knowledge in car servicing industry, we believe we can exceed main dealership quality standards, at a much more reasonable price."